Husky Invincible Teardrop Rack Beams | T.P. Supply Co.
Husky Rack & Wire Invincible rack line Industry standard teardrop design is compatible with other teardrop pallet rack. Industry standard compatible standard step. 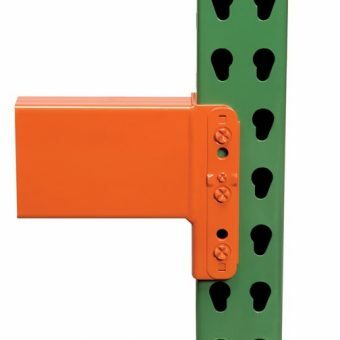 Bowlock safety clip securely locks posts in place for increased safety. Made in the USA from USA made high-strength steel. When you're looking for the right beams to support your teardrop pallet racking system, not just any products will do. You want a trusted name in the industry that's known for safe, high-quality merchandise. Husky Rack & Wire has been a leading manufacturer of material handling products for over 50 years. Husky's industry-standard Invincible Teardrop Rack combines safety with accessibility, and the rack beams from the Invincible system provide the same high-quality support for any industry's storage needs. 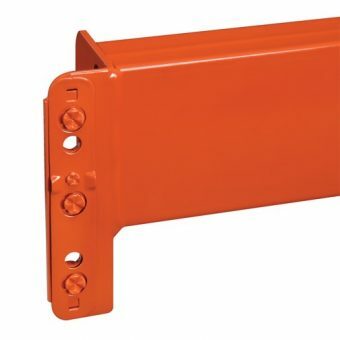 Combine parts from the Invincible system or purchase the beams alone for use with an industry-standard pallet rack frame. At T.P. Supply Co., we sell Husky beams, uprights and racks to industries throughout the U.S., Canada and Mexico. 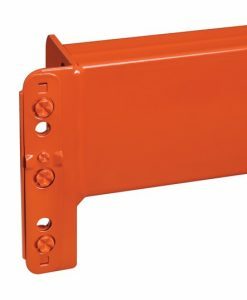 Our decades of experience allow us to meet your business' unique pallet rack beam needs. Space-saving: Perhaps the most significant advantage of a pallet racking system is its ability to save space on your work floor. Using as much vertical space as possible allows you to store items easily without them getting in your way. 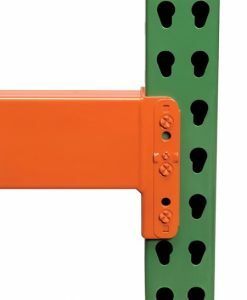 Safety: Teardrop pallet racking systems are known for their support and protection because they use gravity to hold beams and decks in place, but Husky's Bowlock safety clips add extra security to your rack. Ease of use: As with any teardrop system, Husky's Invincible rack beams can be installed using minimal tools and equipment. This ease of use allows you to spend less time and money on assembly and more time focusing on your business. Durability: Husky's pallet racking systems are built to hold tons of weight and withstand everyday wear-and-tear. With the proper care, these Invincible rack beams — made of high-strength steel — will last you for years to come. Universal compatibility: Husky teardrop beams feature attachments suitable for any teardrop system — the most popular type of pallet racking in the industry — so you'll never need to worry about compatibility with your existing rack's components. What Industries Use Pallet Racking? A racking solution should be custom-fit to meet your industry's unique needs and standards. If you're looking for a custom solution to your storage needs and want a brand trusted by numerous industry experts, turn to T.P. Supply Co. to purchase Husky teardrop beams. You can count on us to provide high-quality products that are built to last for years. We offer Husky beams in a variety of heights, lengths and weight capacities to meet your industry's custom standards. If you're ready to purchase your Husky teardrop beams, there's no better place to buy than T.P. Supply Co. All Husky products receive our 48- to 72-hour QuickShip. Order online now or complete our online form for bulk order pricing.